If you would like to contact us regarding our website, partners or services, please fill out our online form and we’ll get in touch with you. For South Florida residents or those visiting Fort Lauderdale Beach, who wish to receive more information from one of the hotels, restaurants, bars, shops or attractions listed on MyFortLauderdaleBeach.com, please contact the individual business directly via the phone number or website listing found on their page. Should you be a local business or a nonprofit agency and interested in learning more about listing opportunities on MyFortLauderdaleBeach.com, please complete the contact form to the right and a member of our online marketing team will follow up with you by phone or email within 24-hours. 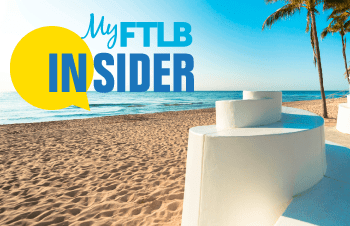 Sign up to become a MyFTLB Insider to receive our monthly email with updates, offers and information on how to put the ‘MY’ in your next visit or vacation to Fort Lauderdale Beach.